Senior citizens from villages around emaXesibeni, formerly known as Mount Ayliff in the Eastern Cape, have had enough of being accused of practising witchcraft. 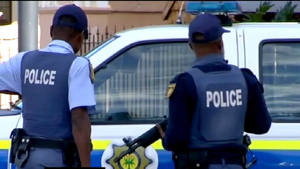 Killings of elderly women are rife in Pondoland. They marched to the Emaxesibeni magistrate to hand over a petition. Four people from the area, including a mother and daughter from the Ntshamba family, were brutally killed in December. They were beaten and burnt to death. “We are tired of being abused, killed and raped, all because we are accused of witchcraft. When we were younger used to look good now we are getting old and wrinkled we are getting accused of witchcraft,” says a resident, Mamasoka Sibuta. “I think poverty and unemployment plays a role. It is terrible as you may hear about four people. It is hunger and it is poverty and the taverns that don’t close play a huge role in this. We wish government can intervene and play a role in this,” added another resident, Nomathemba Qasha. The magistrate says the petition will be escalated to relevant authorities. “We received the petition and we will hand over to the head of the district. The head will hand over to cluster commander who will attend to it,” says Magistrate Anele Maqholo. Social Development MEC Dr Pumza Dyantyi says she is appalled at how some treat the elderly urging families and friends to protect them. The post Elderly women in E Cape tired of witchcraft accusations appeared first on SABC News – Breaking news, special reports, world, business, sport coverage of all South African current events. Africa's news leader..